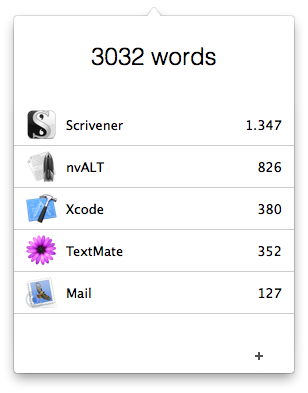 Word Counter is an app from Christian Tietze that lives in your menu bar and counts the number of words you write each day, and tracks in which apps you write them. It’s a neat little way for writers and coders to gauge productivity. The current 1.0 version is pretty barebones, but Christian is planning to release a 1.2 update in the fall that will add day-by-day statistics and comparisons for each app. Until that update hits, the Word Counter is available for $5.99 – a 50 percent discount. Money well spent.